This 129,509 sq. 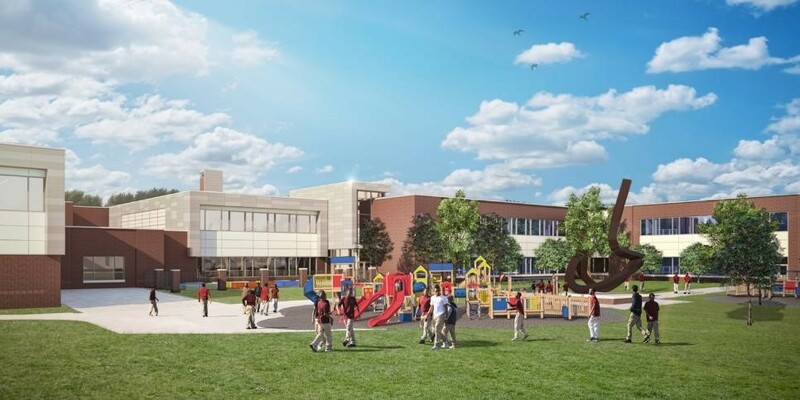 ft. renovation with addition project, along with the Arundel PK-2 School project, supports a set of programs that meets the needs of a closing school (Dr. Carter G. Woodson). Students are currently in temporary swing space at Patapsco ES. The project is scheduled for substantial completion in the summer of 2018 and opening for students September 2018.